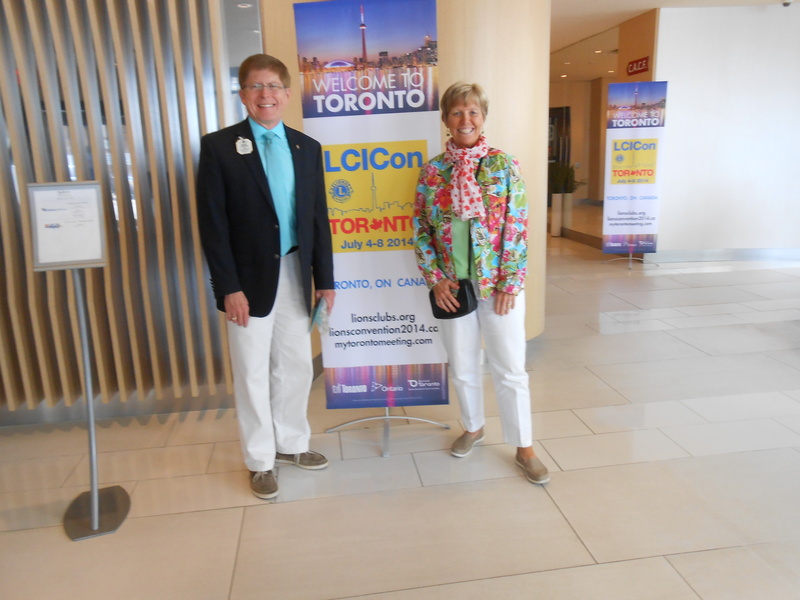 Kathy and I anticipated that the 2014 Lions Convention in Toronto would be a wonderful experience; but little did we know how much the event would exceed our expectations! We had an exhilarating and inspirational time and we cannot begin to thank our dear Lion friends and supporters for all they did to contribute to this “top of the mountain” experience. Upon arrival in Toronto, we checked into a beautiful hotel with a European flavor: the Radisson Admiral Harbourfront. 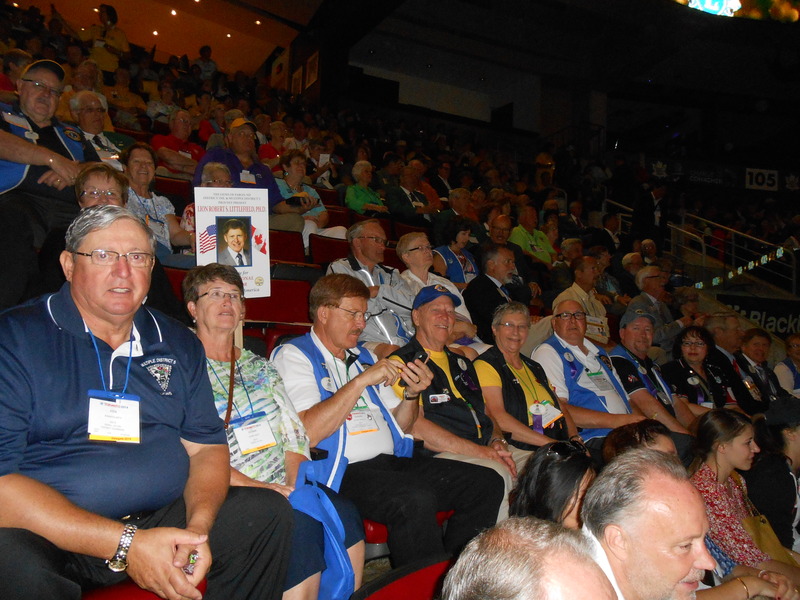 We joined Lions from North Dakota, South Dakota, Saskatchewan, and other midwestern states. Our fabulous campaign team went into action immediately upon arrival and soon was functioning like a well-oiled machine. There were responsibilities to be assumed and shared. Everyone pitched in and the excitement and energy level soared. Kathy and I were so humbled by the care and attention paid by everyone to make sure our campaign went forward in such a positive way. These wonderful Lions from MD5 never hesitated when something needed to be done. In the words of campaign chair Lion Mel Olson, “we got ‘er done!” Thank you from the bottom of our hearts to the following campaign committee members who traveled to Toronto to help: Mel Olson, Pat and Kevin Vannett, Rob Hill, Blake Strehlow, Larry Burkhead, Gerald and Mary Sletmoe, Gordon and Bev Ziegler, Rick and Maureen Pockett, Gladi and Joe Andrew, Dave Butler, Crystal Dueker, and Marvin and Lynne Chambers. We also enjoyed having others from MD5 on hand to march in the parade and give us moral support: Ken and Donna Wentz, Dwaine Heinrich, Arlan and Sherry Fetch, Murray Linner, Ellie May and Harold Bishop. 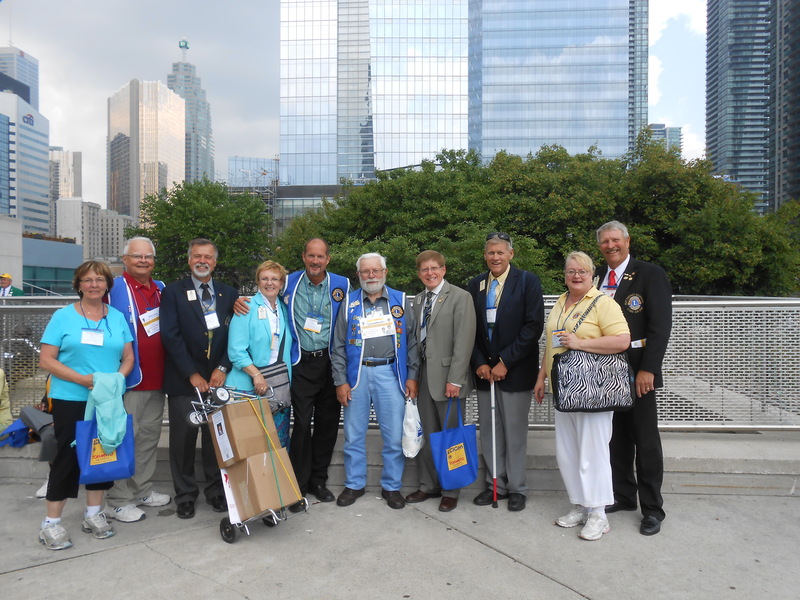 Kathy took this picture of some of our team in front of the Convention Center. We express our special and sincere appreciation to PID Bruce and Julie Schwartz from North Dakota who advised us, introduced us, and promoted our candidacy with expert finesse at every turn. 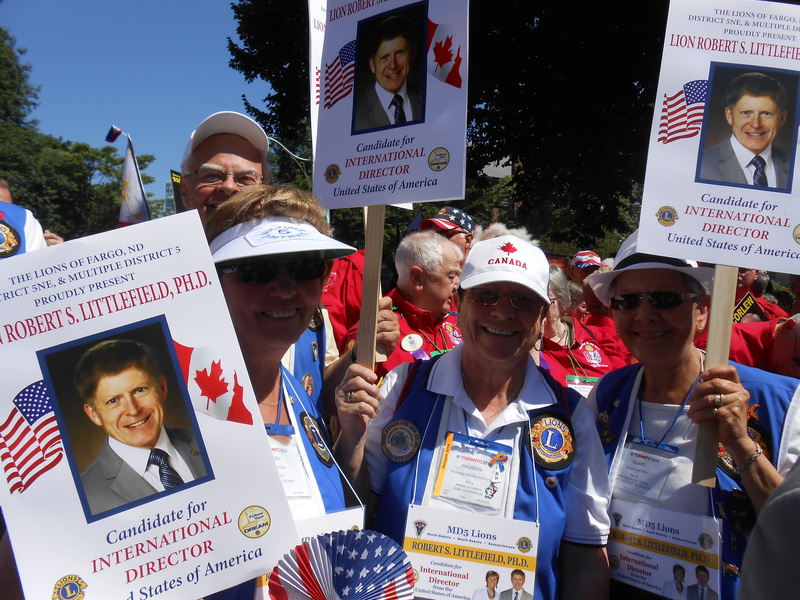 They guided us among the leaders who were past international presidents and directors. Their commitment to our candidacy meant that they had to get up extra early every morning in order to travel with us to several breakfasts and area caucuses to introduce us to the Lions of North America. The “high” just kept getting higher as we took our place in the International Parade. Lions from Sioux Falls carried the MD5 banner, followed by a contingency of District Governors-Elect and other Multiple District leaders. Three Past International Directors and their spouses (Garnet and Mary Ellen Davis, Bruce and Julie Schwartz, and Marvin and Lynne Chambers) were next in the procession, symbolically leading the way for us to follow as the MD5 candidate for International Director. Pat and Kevin Vannett carried our banner and we walked along behind, waving and greeting the crowd watching the parade. The remaining delegation completed the entourage carrying posters and red-white-and-blue fans which came in handy! 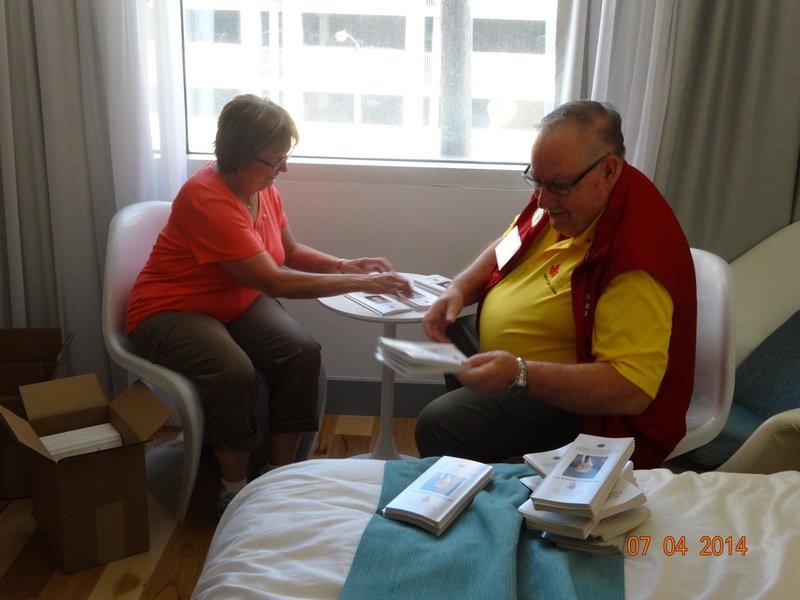 Every day, our team was out in front of the Metro Toronto Convention Centre (MTCC) or the Air Canada Centre (ACC) handing out campaign materials and trinkets. 25,000 Lions and guests registered for the convention and we reached out to thousands of them daily. Sometimes the team needed a break (and the took it, as depicted in the photo to the right); but tirelessly, they were on their feet, smiling and greeting those who entered the MTCC or ACC. 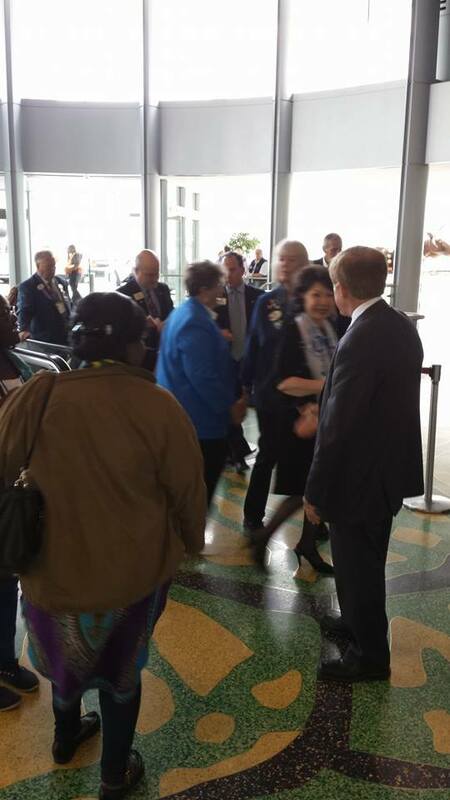 Kathy and I were also on hand, so we spent time shaking hands and greeting the convention participants. We shook thousands of hands and felt the warmth and support of every person we greeted. Many had heard me at the caucuses, but as one person told me, “you are the only candidate I have met.” We felt the impact of taking the time to meet and greet our fellow Lions and friends. When they pledged their support for my candidacy, the impact of what PID Marvin Chambers once told me rang true: “Robert, when you serve on the International Board, you represent the Lions of the world!” What an honor! What a responsibility. What a gift to have been placed in this position to touch the lives of those in need of help. 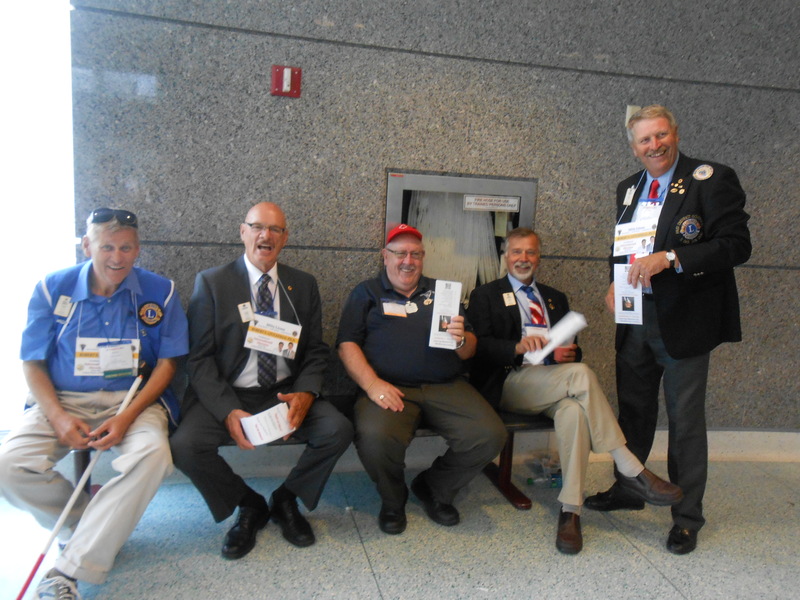 In addition to campaigning, Lions of MD5 attended every plenary session where we learned about new and on-going initiatives, heard motivational speakers, watched talented and inspirational performers, and participated in the ongoing business of the association. Then came the nominations and election process. What a humbling experience to join the international director candidates and walk up on the stage to be nominated by a fellow Lion from MD5 who has worked tirelessly in support of my campaign. 5NW Past District Governor Pat Vannett was wonderfully impressive and passionate as she introduced me to the convention participants. 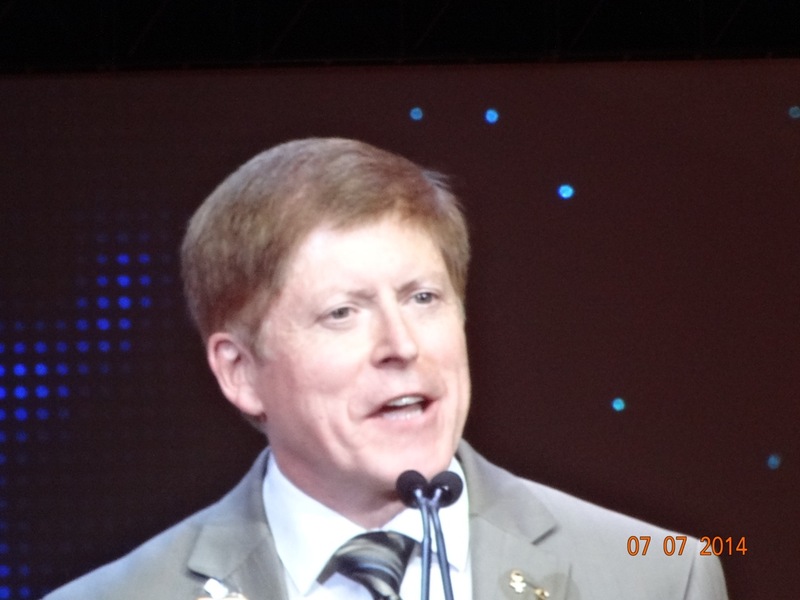 Addressing the Lions of the world was the most exciting speech experience I have ever had. Each step in the process took us to a different level of excitement. When the election results were announced, we felt a joy that is indescribable; and we looked up to the Lions from MD5 to share the moment! 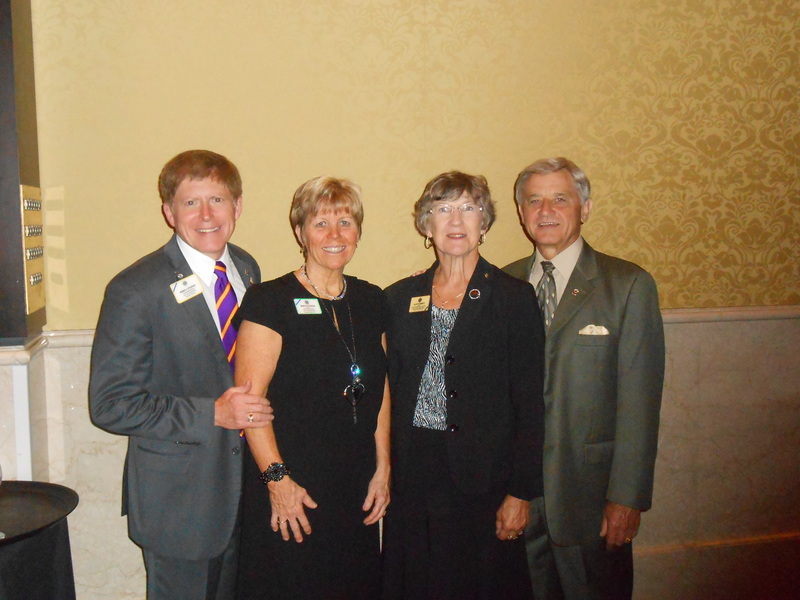 With the announcement of the election and the adjournment of the convention, Kathy and I were taken to the friendship luncheon where we enjoyed a meal with our mentors, ID Mike and Linda Molenda of Minnesota, and other members of the International Board. ID Mike and Linda are wonderful people and began immediately sharing information with us to help make our entry to the Board an easy process. 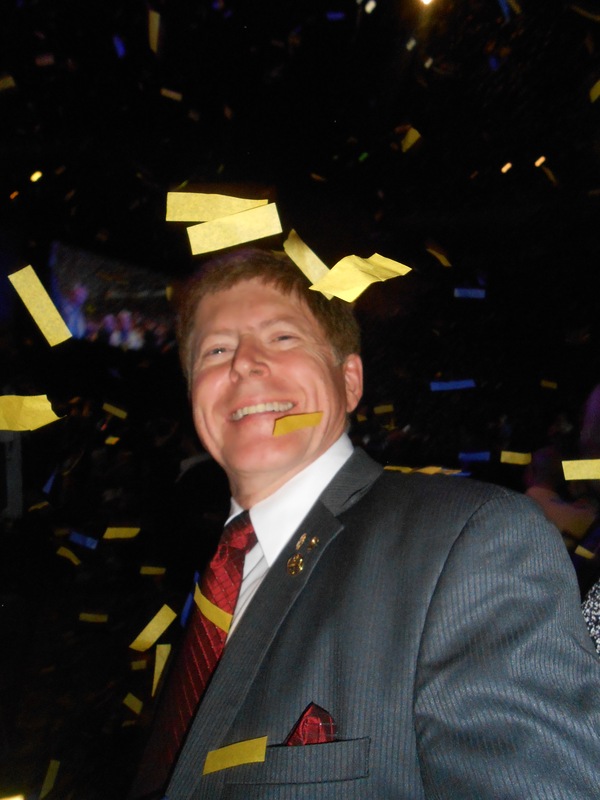 Stepping onto the International Board was an awesome experience. The transfer of authority to act on behalf of Lions worldwide is filled with tradition. 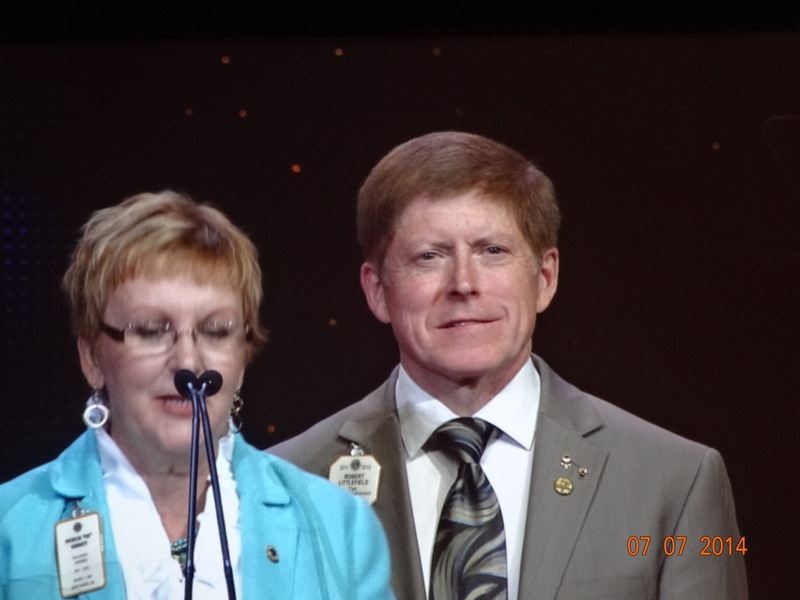 It was so impressive to watch our new International President Joe Preston assume his role as leader of the Board. 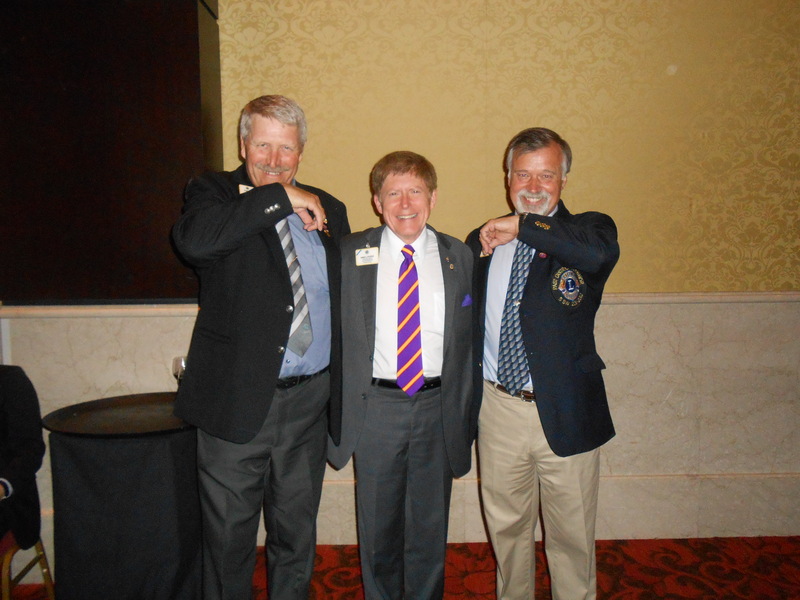 As each group of directors–immediate past, 2nd year, and 1st year–were introduced and presented with pins and certificates of recognition, our identity as a new board emerged. I was so pleased to be appointed to the Public Relations Committee because this working group oversees all publications, advertising, marketing, design, protocol, and related activities of the association. In addition, the PR Committee will be taking the lead on the Centennial Planning. I couldn’t have asked for a better assignment as it will connect my professional background to my international service at a whole new level. But, more importantly, being able to serve on a public relations committee with representatives from Africa and the Far East, as well as from North America will enrich my background and what I can bring back to my students at North Dakota State University taking my public relations and intercultural communication courses. First, I am so very grateful to the Lions of MD5 who believed in my candidacy and gave me the opportunity to have this life-changing experience. I will never forget these Lions and I will always be honored to serve in their name. Second, I am blessed to have such dear friends who gave so much of themselves to help me to reach my dream. Each of these individuals knows what they mean to Kathy and me and why we consider ourselves to be among the most fortunate people in the world to have them among our closest friends. 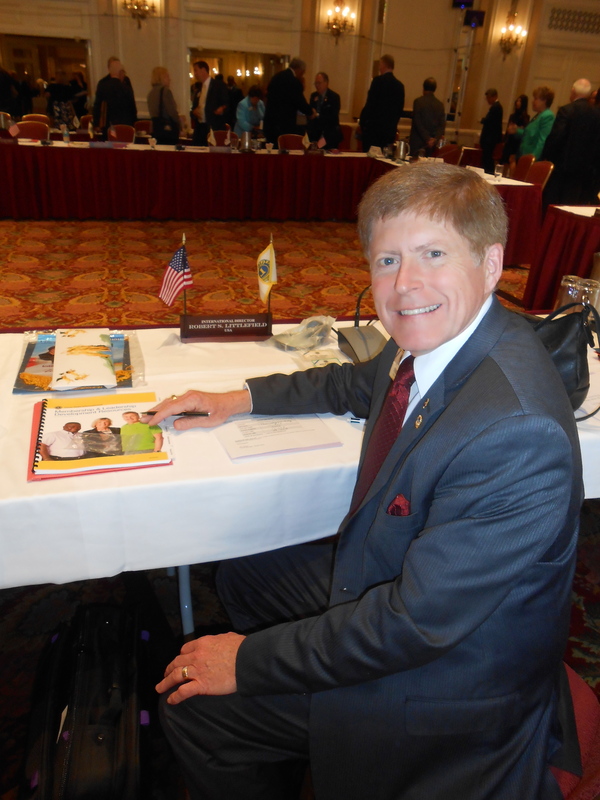 Finally, while I always dreamed of being an international director, the chances for a person from Fargo, North Dakota joining the LCI Board of Directors seemed remote. However, Past International President Barry Palmer challenged us to dream beyond what we thought was possible; and with that perspective, Kathy and I took the risk and followed a course that led us to Toronto and the future. 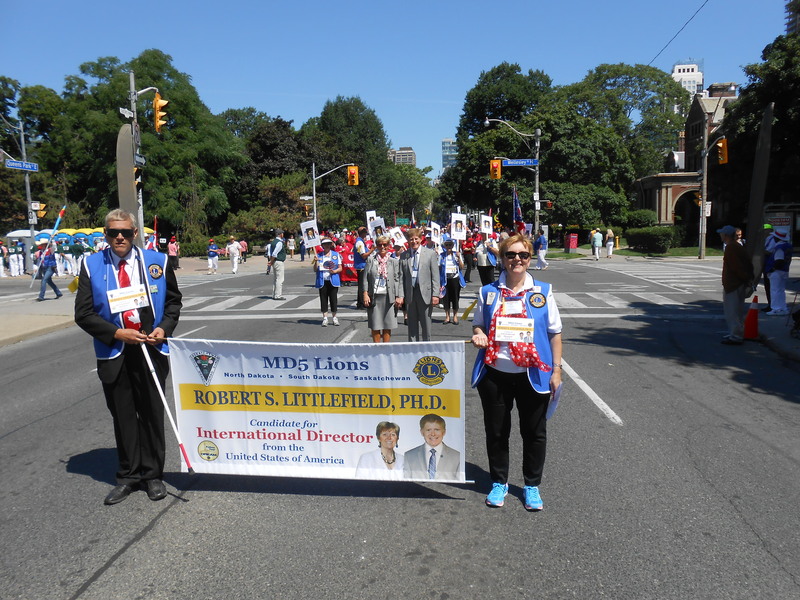 Thank you, Lions of the world for making my dream of international service come true. Thank you for sharing your experiences. I look forward to learning more as your two years on the International Board inform you and the world.